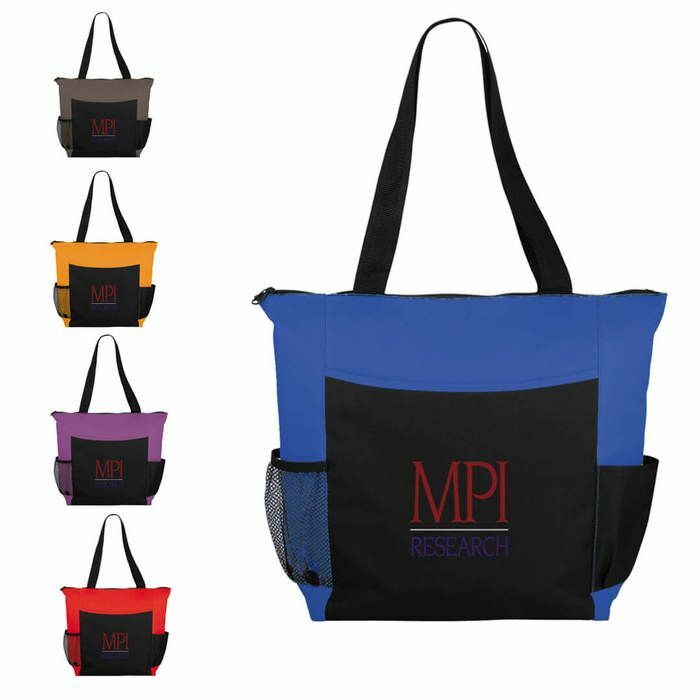 Large zippered main compartment with double 25" handles. Open front pocket includes business card pockets and elastic pen loops. Side mesh pocket and side pocket. Pen not included.